The delicate art of bringing together the horse and rider into a harmonious performance and providing them both with the maximum pleasure out of their athletic effort takes time to develop. Petros’s twenty six year experience, instinctive aptitude and intuitive ‘feel’ allow him to ‘tap in’ to the individual capabilities and bring the best out of a horse and rider combination. 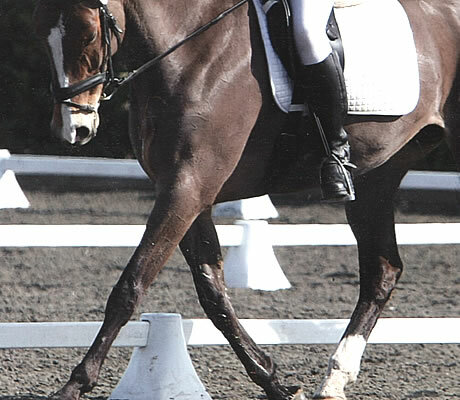 Petros’s approach enables riders and horses to flourish in partnership. Each horse and rider deserves to be viewed as an individual with particular training needs and great care must be taken in assessing their performance and potential. Through such careful assessment a suitable program of work can be designed to fit with individual lifestyles and equestrian ambitions. Coaching the rider to improve both in technical ability of correct use of position and aids, physical ability as well as enriching their knowledge in correct training of the horse/pony makes it possible for the rider to develop a feel for a good way of going for their mount and in turn the horse’s trust in the rider is nurtured. The gradual training of the horse with carefully prioritised achievement goals will maintain and enhance his willingness to please, think forward in a calm manner, be a happy athlete that has fun in his job and is given every support to remain sound and healthy. Petros’s calm and clear attitude to riding puts the right conditions in place for the horses to clearly understand what is expected of them safe in the knowledge that no unreasonable expectations will be put upon them. A carefully constructed system of ‘build block’ exercises starts with the most basic training and advances with sensible steps through progressively more complex and advanced schooling.